Adding zest, vim and vigour to even the most minimalist of rooms, our Verner Panton-inspired Flowerpot Table Lamp is the perfect product to spice up a space. Sitting just 18cm tall, this little lamp really packs a punch, its two inter-woven shades allowing light to diffuse softly around any table it stands on. And with red, black, white, yellow, green and blue finishes available, there is almost no setting that it doesn't look at home in. Verner Panton was a designer who was very much a product of his time; heavily influenced by the hippy movement of the 1960s and the desire to innovate in a playfully-subversive way. The Flowerpot Table Lamp was a classic example of this. Along with the obvious 'Flower Power' wordplay, it was also a medium for Panton to use his preferred material, plastic, to create a brightly-coloured range that reflected the psychedelic arts scene that was sweeping the world in the late 60s. 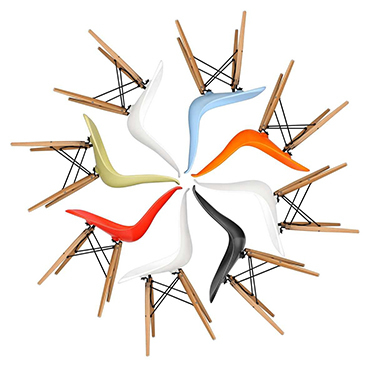 What was seen as revolutionary at the time is now firmly established as a mid-century design classic.